Any episode with Tig Notaro's wonderful Jett Reno is usually a good one, but what happens when you pair her character with a Klingon-centric episode? The Klingons have felt like a leftover from Season One at this point in the series and there are much more interesting elements to deal with, but needs must deal with Discovery's actions. It's fascinating to see the show shift the focus to Pike when he volunteers to journey down to the Klingon homeworld in search of a place where time does not abide by normal rules, as he grapples with knowing his future in exchange for a chance at preventing what happens to his crew and the rest of the universe. Anson Mount has been fantastic from the word go and Through the Valley of Shadows was a brilliant example of what Discovery is making a mistake in letting him leave after this season for something that isn't a Pike spinoff series, he's been something of a revelation (for all those who haven't seen how good Mount can be in Hell on Wheels at least). But at the same time, all the attention on Pike is dismissing just how good Sonequa Martin Green has been as Burnham this season, and it's important to find a balance where the show gets the best out of both the new characters and the old. The episode was an emotional one and hit home nicely, with Pike no doubt worried by what happens next. It turns out that Tyler and L'Rell's son was placed on Boreth in a Klingon monastery where monks guard time crystals, powerful items meant for no ordinary Klingon, let alone a human. Due to the fluid nature of time in the monastery things can age faster and Tenavik is now an adult. He warns Pike that by taking the time crystal he has no hope of changing the future, but Pike being Pike, he decides that the needs of Starfleet and humanity's survival outweigh the needs of his own person. Pike just proved he's the better Starfleet Officer than Kirk, who is notorious for failing to accept no-win scenarios. Not only did Pike see a chance to get out of the no-win scenario, he ignored it, and in doing so, it makes those events that happen to him in his future even more tragic. Through the Valley of Shadows also spent time with Burnham and Spock, teaming up to investigate a Section 31 ship that had checked in ten minutes later than schedule, which instantly raises suspicion about a potential Control involvement and it turns out that they are right. Not only does Control use the body of one of Burnham's old crewmembers on the Shenzhou to lure her into a false sense of security, but it also tries to take her over too, separating Spock. But before Control can turn Burnham, Spock is able to intervene and help Burnham save the day, arriving back on Discovery but not before they're found by the entirety of the Section 31 fleet, which leads into one of the more exciting cliffhangers that the series has given us. The best cause of action, it's decided, would be to evacuate the Discovery and then self-destruct it. Not able to destroy the data of the Sphere itself they can destroy what's keeping it alive, and prevent Control from getting their hands on the rest of it. Through the Valley of Shadows wrestled with plenty of interesting ideas and time travel is something I'd like to see more of in Discovery as it was responsible for some of the best episodes of Star Trek: Deep Space Nine. As important as an episode as this was for Tyler and L'Rell, unable to see their son grow up and forced to watch Pike, a non-Klingon, make the journey to their planet instead. It's impossible to wonder what the Monastery would have shown Tyler or how his reception would be received in his place, but again, for the two characters who have been among the weaker links of Discovery's new second season this was, I felt, an important episode for them both. One of the main problems that I seem to be talking about week after week in this series is the treatment of secondary characters that the show seems to think that we care enough about them to remember who they are. Even after being told that he served with Burnham on the Shenzhou I'm still at loss to work out who he actually was, and he's so forgettable that it was almost inevitable when revealed the character was another Leland-esque case. I think a bigger surprise would have been if he'd turned out not to be corrupted by Control. I love it when the show remembers that Tig Notaro exists as Jett Reno is always a fun addition to the cast (why isn't Notaro a recurring cast member yet? Petition to make her captain in Season 3, please) and it's good to see that everyone on Discovery, even mirrorverse Emperor Georgiou, much like the audience, wants Culber to get back together with Stamets. These scenes will never not be good, even if they are among the more soapy elements of the season. Discovery is still the most wanted ship in the Federation and it's important to remember that. 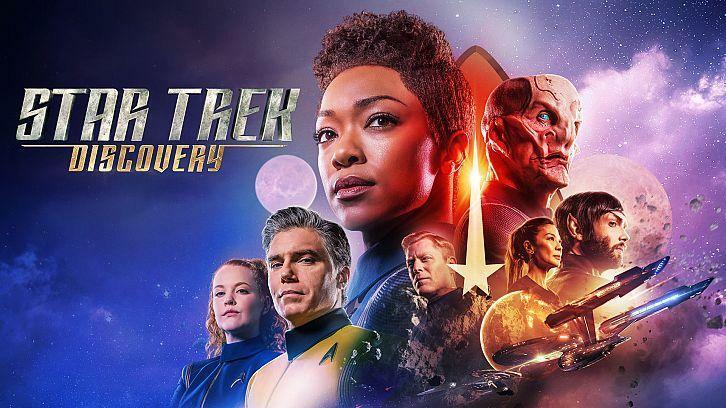 It'll be fascinating to see what happens to the series if the writers let Pike and co do go through with their plan to scuttle Discovery before they can be stopped by Section 31, do Burnham and co take refuge on Enterprise? Presumably they'll be getting an upgrade as a reward for eventually stopping Control if they do so. There's still two episodes left of the series to go, two more weeks where the stakes will no doubt be even higher than they were before.